I normally don't get nail overlays/nail extensions because I use my hands a lot through out the day (typing, cooking, cleaning, working out etc.) and my natural nails grow too quickly but this time I decided to try something different. (yay me! 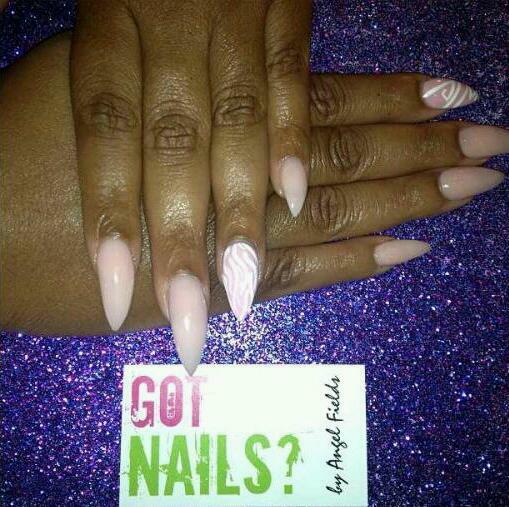 lol) I recently had the pleasure of visiting Houston based nailtique, GOT NAILS and I had a really amazing experience. Coco the owner of this unique establishment was so very professional and down to earth as well as Angel (the technician that designed my nails). As you can see I went with the pointy nail trend and I must say it turned out pretty awesome! I left them on for about a month before I removed them and didn't have any issues with chipping or breaking prior to taking them off. 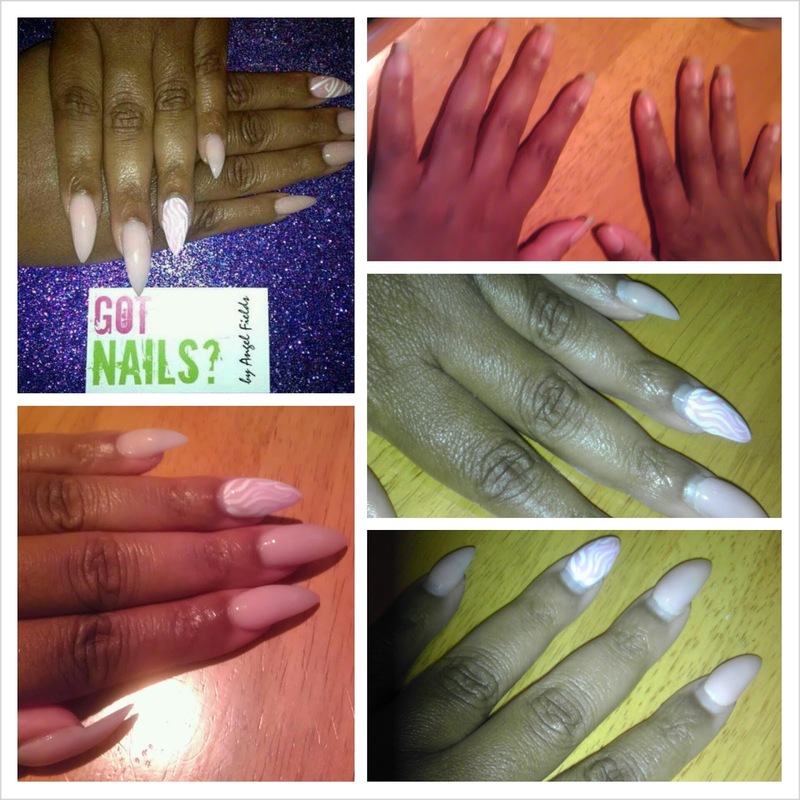 The top right photo is of my natural nails before and the bottom right is a photo of the nail overlays after about a month. Try them out for yourself, call to schedule your appointment...Phone:(832) 887-7028 the shop is located at 2715 Bissonnet St #410, Houston, TX 77005.